Preston tries to convince Jorge to let him take a chance with another hipster band at the Electric Nickel. Rey and Max are amused. 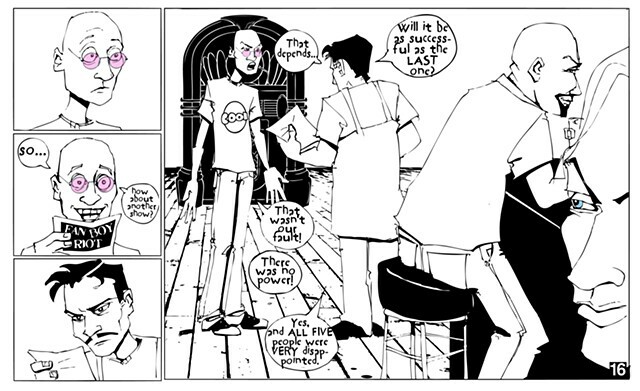 From my online graphic novel, Freaks' Progress.